I have a new profile pic! My super talented friend Netra, made this for me! Isn’t it amazing? And tell you something freakish? That is the exact same position I mostly read in! A few months I had a very interesting conversation with a friend. She said that Harry Potter created her and Nerdfighteria developed her. That made me think and wonder. What is the thing that created me? What is the thing that defines me? What is, you know, my thing? Is it Harry Potter like my friend? I think we basically bonded over Harry Potter when we first became friends. So is it my love for Harry Potter that defines me? Nope. I am kind of over Harry Potter. I mean I still love those seven books and forever will. But I’m not as obsessed as I was before. Then Game of Thrones? I’m pretty obsessed about it currently. I can talk endlessly about it. I make it a point to go and talk to people who have read the books or watched the show. Even random strangers. I can’t forget the fact that I just spent a little over a thousand bucks on the books (Mom won’t let me forget). So it should be GoT? Right? Nope. I think my creation happened a long time before I experienced the awesome that is Game of Thrones. I think the credit for my creation basically goes to my parents. I don’t mean it in a gross way either. Yeah, the biological aspect and all that is certainly there. But, here, I’m talking about the upbringing part. What if my mom never read me bedtime stories? She used to read to me every night. I had a pretty decent collection of children’s books even way back then (I was 5). Plus, she borrowed books from the library and read them out. For my afternoon naps, it was my grandmother who played the role of the storyteller. What if my dad had never covered for me whenever I wanted to read late into the night? What if he had refused to buy me books? I never would have developed a love for reading as I do now. And yeah, books define me. If I happen to have time for leisure, I end up reading 9/10 times. Even when I don’t have the time to read, I still make up time and read. I cannot function otherwise. a) I already own it. b) I’ve already read it. Bookstores are my definition of heaven. I’m at complete ease there. Random people come and ask me for recommendations and I love it. I just wish I could take their email addresses and discuss the book over email. I trust people who read. If I see someone reading a book, even a random stranger, I have a strong desire to strike up a conversation. So yeah, reading is my thing. I don’t know what would I do if it weren’t for books. That makes me a nerd? Well, then I’m a proud nerd. Although if you do ask me about the moment when I first experienced individuality, it will be the day I listened to Green Day. Prior to that day, all I listened to was rap songs that my friends recommended. Now, I do like rap but it’s limited to Eminem and a bit of Nicki Minaj. Then one day I was watching Vh1 and this guy wearing eye-liner started playing a song. I didn’t even pay attention to it. He wore eye-liner for God’s sake! 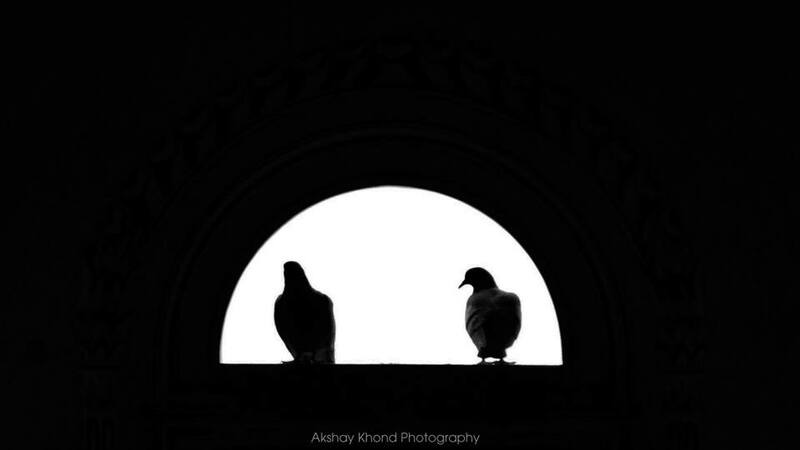 The next day, I found myself humming a song I had no recollection of listening. Ever. Then I saw 21 Guns on VH1 again and I realized how much I loved that song. That is when I started listening to Green Day. That is when I stopped conforming so much. Being a part of a group is great. No one likes being the person in the corner. But personally, I feel that being a part of a group doesn’t mean that you can’t be your own person. Now I like listening to bands my friends haven’t even heard about. So what defines me finally? I am defined by a collage of books, music, TV, writing, food and many other things that I haven’t discovered yet. This is not a review. It’s more like a rant or a random rambling about BoO . Blood of Olympus came out on the seventh of October. Omg, has it already been five days? So a couple of days before 7th, a friend of mine called Mallika and I started sending texts to each other. These texts had just three letters – BoO! Our anticipation was intense! The only time I had felt like this was when Harry Potter and the Deathly Hallows had come out. But even then, it wasn’t like this. Of course, I started reading BoO on the 7th. Finished it in a couple of days. So this is awkward because BoO has a really great rating on Goodreads but I didn’t like it. PERCABETH DID NOT HAVE A POV!!!!!!!!!!!! 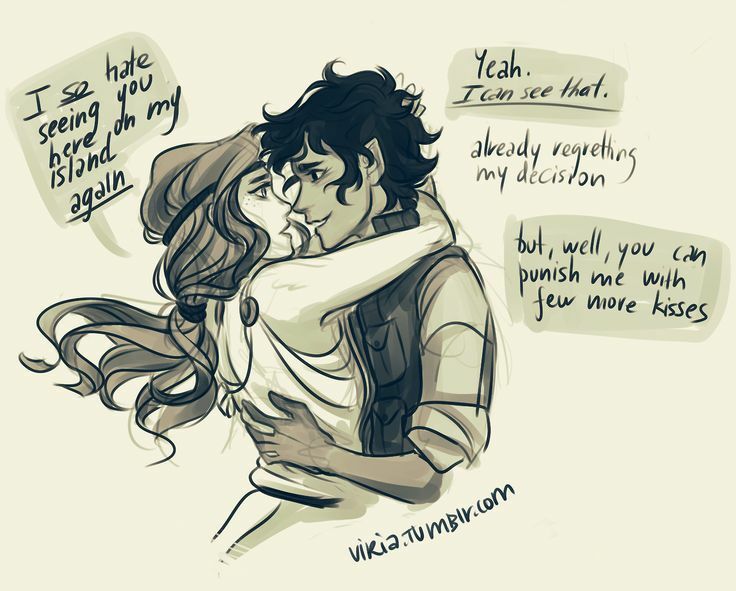 How can Percabeth not have a POV? They are the characters we know and love the best. We’ve seen them hate each other when they were shrimps of 12 (or was it 11?). We’ve seen them grow up, battle monsters, accept destinies. We’ve seen them fall in love and make out in water bubbles. We’ve seen them jump into Tartarus for each other and we’ve seen them come back. And we don’t get a goodbye!!??!! It would have been okay if they had some great role to play or some ugly monster to kill. But there was nothing much really. The best Percabeth scene was this kiss just as they’re about to greet Gaia’s giants. And that was from Piper’s perspective. Otherwise the book was pretty awesome except for the end. Maybe it was just me but I felt a severe lack of action. Leo was the only one who was all badass. Others not so much. And war sequences need to be longer! In The Last Olympian, more than half of the book was full of battle. And everyone had their moment of awesome. 1) Annabeth when she takes the blow of the knife instead Percy. This is where we know that she’s over Luke ( kind of). 2) Grover when he turns the shiny sparkly Sun Titan into a tree with the help of other Satyrs. 3) Thalia when she joins the battle. 4) Charles Beckendorf when he sacrifices himself right at the start. 5) Silena when she leads the Ares cabin into battle dressed as Clarisse. 6) Clarisse because the way she skewers the drakon. It’s priceless. 7) Poseidon when he joins the Olympians against Mr. Too tall and ugly giant who lived in a volcano. 8) Chiron when he confronts Kronos. 9) Hades when he joins the battle. This is probably my favorite scene in the book. There Nico and Persephone and Demeter in all their badassness. And it’s just so funny!! 10) Luke . I am not talking about this one. It’s too hard and hurts too much Oh Luke! You were a hero in the end. Even Paul Blofis (Blowfish) had his moment of awesome badassness. I didn’t feel that in BoO. Also, I felt that many characters were missing. I get that it’s difficult to have all the characters ever make an appearance but at least Chiron and Sally Jackson? They should have been there! And Groverrrrr!!!! Even Clarisse et al didn’t make all that much of an appearance. One last criticism before I move on to all the awesome. 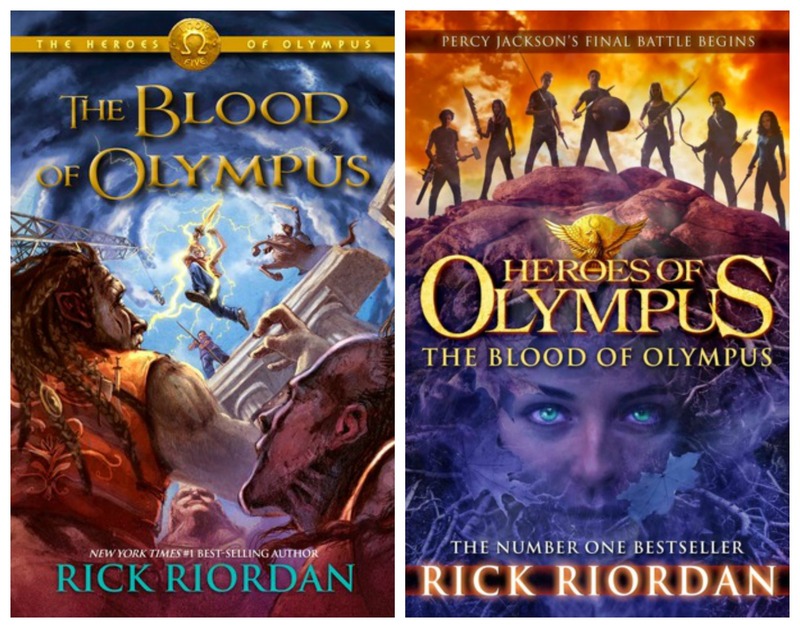 The entire Heroes of Olympus was basically based on a prophecy, courtesy of Rachel Elizabeth Dare and Lord Apollo. So it was obvious that someone dies. For months,years actually, the entire PJO fandom had been debating on the who part. All that contemplation and we find out the Who just over halfway through the book. Where’s the Rick Riordan brand of surprise? Okay, now comes the spoiler time. Have you read BoO? Yes? Continue reading. No? Shut your eyes and scroll for a bit. Better you don’t read the following lines. Okay, so here’s it. No one dies. Someone has to die. It’s just not realistic otherwise. It need not be someone very important, say Percy (No Hades! No!) but someone like Luke in The Last Olympian? Someone who was obviously going to die but feeeeeeeels! The number of feels when Luke died…okay, hurts. I’ll stop now. So what was awesome about BoO? NICO!!!! He had his own POV! How awesome is that? Well, so did Reyna! I love strong female characters and if Reyna isn’t strong then I’m a patch of cabbage. BoO was amazing till the last set of Jason’s POVs. Then it was somewhat lacking. But before that it was full of action and adrenaline. Caleo happens!!!! YAY! Caleo happens! Caleo happens! I was rooting for them so bad! Don't they look absolutely adorable together? Have you ever read it book and hated it so much that you wished you could get back the time you spent reading it? Or that, somehow, you could go back into time and make yourself stop reading it? Or just forget that you ever read it? Or maybe, unread it somehow? All of us have those books we could never complete. Or if we did complete the book in question, it left us with a not so good feeling. 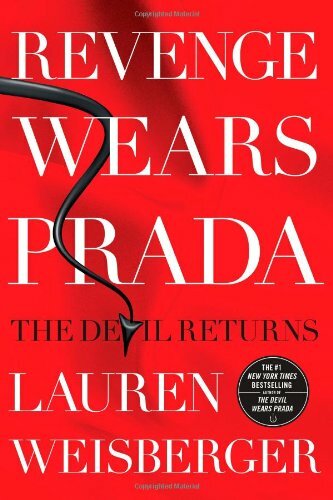 6) Revenge wears Prada: The Devil Returns : Why in the world did Lauren Weisberger have to write a sequel? Why? Why? Why? I loved Devil wears Prada. I loved the way it ended. I did not hate Miranda quite so much. I understood where she came from. In Revenge wears Prada, she is just plain evil. I wouldn’t be surprised if she has a horcrux. My point is, there was no need for a sequel. 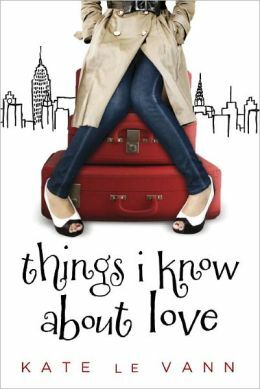 5) Things I know about Love by Kate le Vann : Till the fifth last page, it was a good read. Last five pages, the main protagonist dies. Like suddenly. No warning, no subtle signs. Nothing. What was that about? 4) Teach me by Amy Lynn Steele : Teach me is only the second teacher-student romance book I’ve read. The first one was When summer ends by Isabelle Rae and it was really good! Yeah, the end of was kinda sappy but it was okay. 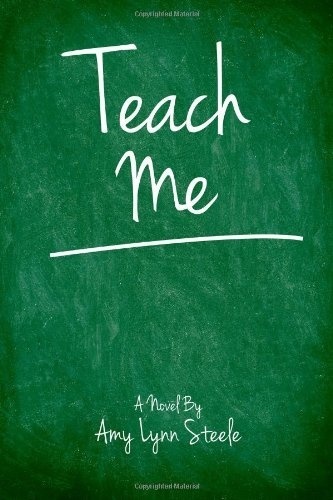 Teach me was too predictable and sappy throughout. I just didn’t like it. 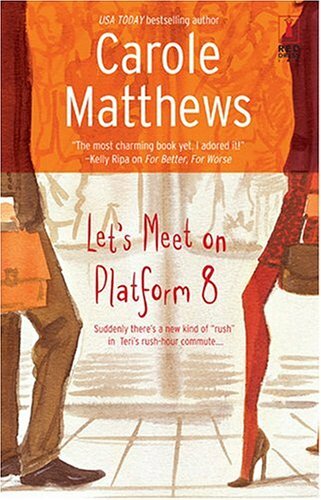 3) Let’s meet on platform 8 by Carole Matthews : I honestly don’t know what to say about this one. I read it in one sitting just to see which characters end up together. By the time I finished, I possessed a strong desire to burn the book. And trust me when I say I love my books. I am really fiercely protective of them. I’m matured enough to understand that since it was a book about infidelity, chances were high that Jamie would go back to his wife. But it wasn’t executed well. And by the end of the book I expect the main protagonist to achieve something or to change for the better. Nothing like that happened. What was the whole point of the book? 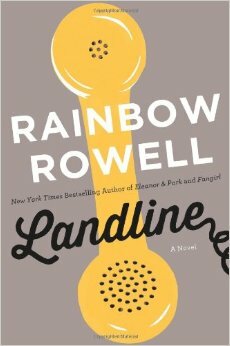 2) Landline by Rainbow Rowell : Okay so Landline wasn’t all that bad. But Eleanor & Park, Fangirl and even Attachments were so good! I was disappointed. 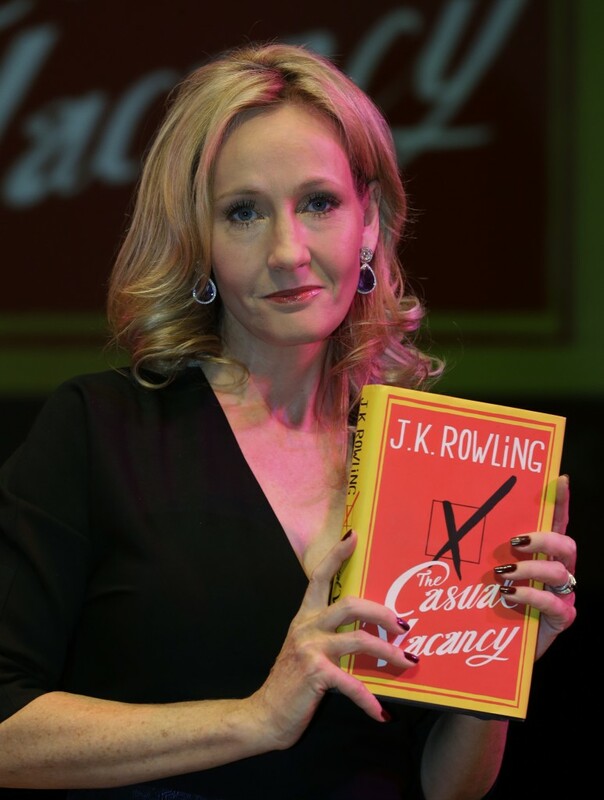 1) Casual Vacancy by J.K. Rowling : When you begin reading a JKR book, you expect it to be mind-blowingly awesome. Especially when it’s the next book after the last Harry Potter. Then you start reading the book ie The Casual Vacancy and it’s not what you expected. You expect it to get better. You search for a silver lining when there’s none. I nominate Ravenclawsam and Dee to list some of the books they wished they could unread. All of y’all are welcome to list the books you could unread. Just put the links in the comments section below. The past two days have been so frickin’ dull that I’d rather attend a lecture of the History of Magic by Professor Binns. I had conjunctivitis which rendered my eyes useless. Do you know what I’m capable of without a pair of functioning eyes? I couldn’t read. I couldn’t write. I couldn’t watch TV or use my cellphone. Or blog. Hell, I couldn’t even listen to music because my eyes hurt too much to change songs. I also missed three exams. Semester exams. I’ll have to take a medical certificate and appear for retests. That’s okay. It’s just that these days have made me appreciate my eyes all the more. I can literally do nothing without them. And thanks to conjunctivitis, I couldn’t achieve my goal of reading 20 books in September. I’ve read just 18 books, one of which was a reread. – The Cuckoo’s Calling by Robert Galbraith : It had been on TBR forever! Finally I got to read it and well, JKR didn’t disappoint. – Opposition (Lux #5) by Jennifer L. Armentrout : The Lux series had a really great end. I couldn’t put Opposition down. – Le Petite Prince by Antoine de Saint-Exupery : I read a book in French! Woohoo! – The Secret Wish List by Preeti Shenoy : Indian chicklit? I had no expectations from this book but it was very very good. I love it when female protagonists make independent decisions. – City of Ashes (Mortal Instruments #2) by Cassandra Clare : Many of my friends stopped reading the series after City of Bones. But City of Ashes, it get better. I am totally going to continue with the series. The month of October is going to be dedicated to A Song of Ice and Fire series because I finally have all the books! Yay! And I have also begun to read manga on three friends’ recommendations. I love it. Seriously, what was I doing till now? Manga and Anime are so awesome! Also! 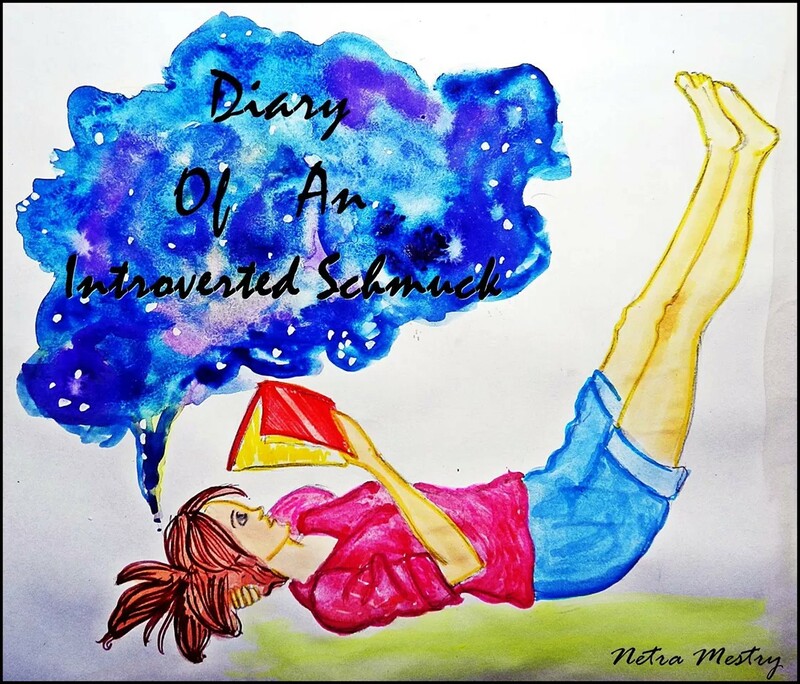 Today is my blog’s six month anniversary! I cannot believe I made it this far!